No matter the age of your house, it can experience some type of foundation settlement. 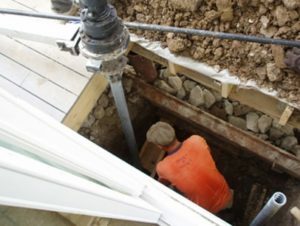 There are many factors that can cause a home’s foundation to settle. Fortunately, Tar Heel Foundation Solutions can help determine the cause and perform any repairs that may be needed. If the structure is built on the same kind of soil and the loads are uniform, then the entire house will settle at the same rate. However, if there is a problem with the soil or a drastic difference in the load the foundation is bearing, the home can sink unevenly. When this occurs, you may see cracks in floors, walls or ceilings, floors may become uneven, doors and windows may not open or close properly, and other problems may occur. There are a few different causes of soil becoming oversaturated and unable to support the foundation securely. One is leaking pipes or broken water lines. In addition to damaging your foundation, you are paying for water that is running into the ground. A second cause is poor drainage. If the soil around your home isn’t graded correctly, your gutters are clogged, the home’s downspouts aren’t working properly, or if a concrete slab next to the house is uneven, water may pool against to the foundation. This water doesn’t absorb into the soil correctly and can soften the earth around the foundation. Lastly, heavy rain and flooding can, of course, soak the surrounding soil, causing it to become soft. The opposite of soil that is too wet is soil that is too dry. 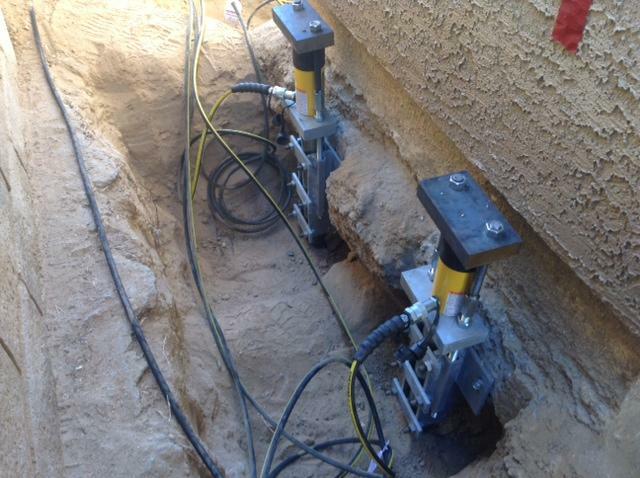 Drought conditions can cause the soil to shrink, leaving little support for the foundation walls. In addition, the foundation may sink if the soil contracts. When your home is constructed, other soil may be brought in to fill low or hollow areas under your foundation. The builder should compact this fill soil completely before building the foundation. If the soil is not compacted correctly or not done at all, the weight of your home will compress the soil, leading to foundation settlement problems. Give us a call or fill out our contact form and we’ll get in touch with you within 24 hours. We will inspect your property and give you a quote. We’ll also explain everything and work with you to make sure your home is stable and secure.